Muslim brides tend to choose a wedding dress with a great beauty and feminine to shine up on her wedding day, it’s no longer impossible, as this year a lot of Wedding dresses have emerged with modern touches suit the veiled bride; due to its long-sleeved, and picturesque long dresses. With a feminine modern style, the latest fashion show collection of ” kaviar gauche” revealed the modest wedding dresses with long sleeves fit the veiled bride , which are simple and refined in a manner consistent with the trendy bride, where the styles came with layers of satin fabrics and lace, inspired by nature with white & pretty flowers , to look like soft and romantic dresses. One of the most appropriate wedding dresses for the veiled bride come from the latest fashion show of the popular fashion house “ERSA” , which tends creatively to luxury high-end fashion, with wide skirt and long sleeves, where the designs present the bride aristocratic classic character through the distinctive dresses of huge multi-layered skirt on a fluffy royal stylish design, then complete its elegance with the long veil. 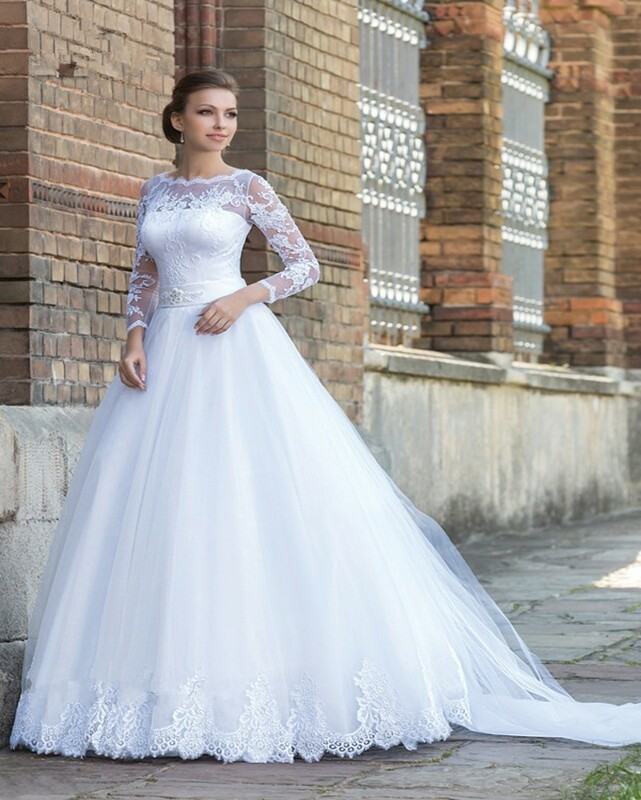 We offer you Stylish wedding dresses fall 2016 suitable for the veiled bride, which combines the luxury and modern outfit, to keep in line with the latest fashion this year in your choice for a wedding dress.